Two kidnappers who were declared wanted in benin-city after 10-11 months of run, were caught by Edo State better Anti-kidnapping squad. 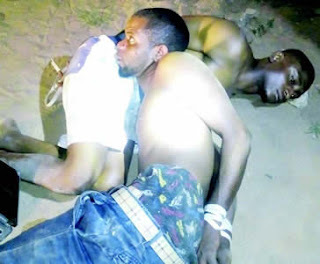 The two suspects who were identified by Iyoha best and Ekete Junior were claimed to be members of notorious gang who where terrorizing two places Edo and Delta State. they kidnapped a businessman who was supervising his work at Country Home Motel in Edo State, Benin City. Which they collected 8million naira from his family before they released him. But they were caught yesterday at their main hide-out.